You may have noticed that this blog has been quiet for the past several weeks. After taking a blogging hiatus for the last part of 2014, I kicked 2015 off by starting to blog again in the hopes that my enjoyment for it would return. While I managed to post on a fairly regular basis for the first few months, my heart hasn't really been in it. As a result, after almost 4.5 years of blogging I've decided it's time to say goodbye. I simply don't have the time or the inclination to continue. I plan to keep this blog up (at least for the time being) and will continue to read my favourite blogs -- cause my TBR pile isn't big enough :-) I have, however, turned off the comments feature. I wish everyone the best, and thank those of you who have taken the time to engage with me through this blog. It is my hope that we can continue to connect via other venues such as Twitter. It's March! It's been a long and bitterly cold winter here, but March should bring with it warmer temperatures and a promise of spring. February was a good month for me on both the reading and blogging fronts, a trend I hope continues into March. With the exception of Pilgrim, which wasn't for me, I enjoyed each of the books listed, and suspect that at least a couple of them will make my best of 2015 list. Is It Time To Rethink How I Review? Looking ahead, I've got some great books lined up for March (at least tentatively, my reading plans always change). It's also time for Spring Training! I can't tell you how excited I am that baseball season will soon be upon us once again (Go Blue Jays!). I'm a firm believer that life is too short to read books you don't enjoy. As such, I generally give each book I read about 50 to 100 pages (depending on the length of book) to capture my interest. If I'm not enjoying a book by this point I have no qualms with setting it aside and turning to something else. This 50-page rule has served me well in the past, as any book I've not been particularly impressed with by the 50-100 page mark, but kept reading anyway, has almost always turned out to be a less than three star read for me. You can imagine my surprise when I finished A Man Called Ove by Fredrik Backman--a book that I wasn't enjoying at page 100--and decided it will likely show up on my list of favourite books for 2015. Given that A Man Called Ove is the first selection for a new book club I'm taking part in, I was determined to read it in its entirety even if I wasn't enjoying it by page 100. And let me tell you, at the 100 page mark I was convinced the book wasn't for me -- I didn't like Ove, not even a teeny tiny little bit, and I wasn't keen on the way his story was being told. I was convinced that my feelings for the book, and the main character, wouldn't change. Turns out they did change, and change for the better. As I continued to read I slowly found myself starting to care for Ove, and his story finally began to reasonate with me. There is much more to Ove than initially comes across in the first quarter of the novel, and I'm so glad that I didn't give up on the book and fail to learn this. By the novel's end, which left me in tears, I realized that Backman had created a character and story that is going to stay with me for years to come. Had I followed my 50-100 page rule with A Man Called Ove I would have missed out on a truly wonderful book. That's not to say that I will continue to ignore my rule, since it rarely fails me, but in this instance I've very glad that I did. Are there any books out there that you struggled with initially, but found sticking with paid off in the end? Do you follow the 50-page rule, or do you finish everything you read? In this action-packed, suspenseful sequel to the international thriller The Geneva Option, U.N. covert negotiator Yael Azoulay is drawn into a web of betrayal and intrigue that leads from deep within America’s military-industrial complex to the Middle East and beyond. Yael Azoulay nearly lost her life while on assignment for the United Nations in the Congo. Though her physical wounds are healed, she still struggles with the psychological trauma. But her safety is jeopardized once again when her job sends her to meet with the CEO of The Prometheus Group, a lobbying and asset management firm with extensive links to the Pentagon and intelligence services. The U.N. is suspicious about Prometheus’s military and intelligence contract operations and wants Yael to quietly investigate. Working under Prometheus’s radar, she discovers a chilling conspiracy with ties to Iran . . . and to a shocking source very close to her. And the end game is nothing less than a devastating—and very lucrative—new war in the Middle East. But the closer she comes to the truth, the more Yael begins to expose herself, revealing a complex and intriguing heroine whose life is riddled with secrets. As she confronts the ghosts of her past, the few certainties of her life begin to crumble around her, laying bare a terrifying truth: that she has enormously powerful enemies who neither forgive . . . nor forget. 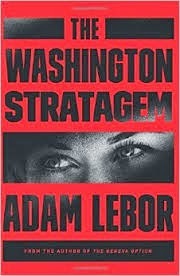 The Washington Stratagem, the second novel in Adam LeBor's Yael Azoulay series, is a fast-paced political thriller that is guaranteed to keep you turning the pages. The novel's protagonist, Yael Azoulay, is a special assistant to the Secretary General of the United Nations, called upon to carry out activities that never make the news. In this novel, Yael is tasked with investigating one of Washington's most powerful lobby groups, a group with direct ties to the highest echelons of power. Yael's investigation uncovers some explosive information, information that her enemies are willing to kill for in order to prevent it from coming to light. While trying to stay one step ahead of her enemies, Yael's past starts to catch up with her, placing her in even further danger. Will Yael be able to stop her enemies before they stop her? I've always enjoyed thrillers, with political thrillers being my favourite. Nevertheless, I sometimes have a hard time finding books within the genre that contain plausible plots and characters. I admit to being easily put off by thrillers that require a willing suspension of disbelief in order to get through them. When I read Adam LeBor's first Yael Azoulay novel, The Geneva Option (click here for my review) I knew that I'd found a winner (it ended up being one of my favourite books of 2013). Not only did I find the novel's plot entirely plausible, it was also compelling. I also enjoyed the fact that LeBor chose a female as his principal character. Yael is intelligent, dedicated, and motivated to get the job done. She is also the type of person you'd want on your side in a fight. I always feel some trepidation when starting a follow-up to a novel I particularly loved, wondering if it will be as good as the first. The Washington Stratagem doesn't disappoint. LeBor has once again delivered a well-written and engaging thriller, one that is every bit as good as its predecessor. As I mentioned in my review of The Geneva Option, I love the backrooms view of the United Nations provided by this series. While the series is a fictional one, it showcases the backstabbing and power tripping that can occur in large political organizations made up of people with competing interests and priorities. I also like how it illustrates the role of the press in bringing to light stories that others want buried. The characters in this series continue to be one of its greatest strengths, and I was pleased that so many of the characters featured in the first novel appear in The Washington Stratagem. While Yael continues to be the series' focus, I like that several other characters also receive significant attention, including reporter Sami Boustani and the UN Secretary General Fareed Hussein, as I find them every bit as intriguing as Yael. Although part of a series, The Washington Stratagem includes enough background information on the events of The Geneva Option that it isn't necessary to read the first book prior to starting this one. Of course, given how much I enjoyed the first novel I highly recommend starting with it -- I can assure you that you'll want to pick up The Washington Stratagem shortly thereafter. I can't wait to read book three! It's Monday, so you know what that means -- it's time for It's Monday! 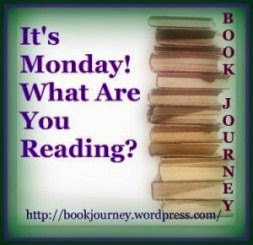 What Are You Reading?, a weekly meme hosted by Sheila at Book Journey. I have a couple of books on the go at the moment, although I'm sad to report that I'm not really enjoying either of them...at least not yet. 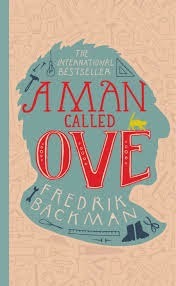 The first is Fredrik Backman's A Man Called Ove. The book, about a grumpy old man named Ove, has been well received. Unfortunately, I'm not enjoying it as of yet (I'm about 1/3 of the way through it). At this point in my reading of the book Ove has yet to do anything to endear himself to me. While it's not necessary for me to like a main character in order to like a novel, A Man Called Ove seems the type of book in which sympathy for the main character is necessary in order to enjoy it. The book is the first selection of the new book club I'm in, so I hope the story (and Ove) improves. I normally don't hesitate to set aside books I'm not enjoying, but will read this one to the end so I can discuss it with my fellow book clubbers. Who knows, maybe I'll end up pleasantly surprised by it. 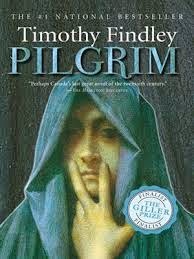 I'm also working my way through Pilgrim by Timothy Findley. Honestly, I have no idea what to think of this one. 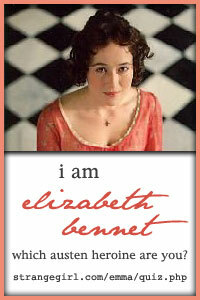 I read Findley's Not Wanted on the Voyage a few years back and really enjoyed it. Pilgrim, which is about a man who can't die and features psychiatrist Carl Jung as a principal character, is not what I expected (although that's not necessarily a bad thing). At times I'm quite caught up in the story, at other times I'm bored by it. I'm almost halfway through and am intrigued enough to keep going, although just barely. Sarah Dunant's Blood and Beauty continues to sit on my reading pile, although I've temporarily set it aside to focus on other books. I seem to have lost interest in historical fiction again, and don't want to pick up the Dunant book until I'm in the right mood. I really liked what I'd read, and don't want to ruin the book by not being in the right mood for it. Looking ahead, I hope to start Robert Jordan's Lord of Chaos, the sixth book in the Wheel of Time series, this week. It's been a few years since I read the previous books and I can't wait to revisit Jordan's world. As I was looking over my bookshelves the other day searching for a new book to read I found myself feeling a little overwhelmed by my rather daunting TBR pile (my TBR pile was also the subject of a separate post last week, click here to read it). While I have tons of unread books to choose from, many of which I'm quite eager to read, it took me a long time before I finally settled on something -- Pilgrim by Timothy Findley, an e-book housed on my Kobo and not sitting on my physical shelves at all. My issue was not a lack of good reading material to choose from, but rather that I simply have too many books to pick from. Given that my reading selections and how I feel about them depend, to a large extent, on my mood, I've always liked to maintain a large TBR. This ensures that no matter what my mood I'll always have a book to match it -- yes, I recognize that in this age of e-readers I can now access books not already sitting on my shelves at the touch of a button and so I don't need to stockpile them, but I prefer paper books even though I do love the convenience of my e-readers. But lately, even though I continue to buy books on a regular basis, I've stopped purchasing them simply because they are on sale and I might like to read them someday. I've stopped buying all or some of the books in a series before I've even read the first one (learned my lesson the hard way with that one), and I no longer buy books simply because other people liked them. In short, I've come to realize that if I don't start tackling my towering TBR pile and slow down on the book buying, I'm never again going to be able to make a quick decision about what to read next! I never thought I'd utter these words, but it seems I've finally learned that too many books to choose from can (sometimes )be a bad thing. How about you my fellow bookworms? Do you sometimes find that maintaining a large TBR pile prevents you from quickly deciding what to read next? I track my books on Shelfari, although my To Read list is probably not as up to date as it should be. It's mostly print, but I do have a number of unread books sitting on my Kindle and my Kobo. I do most of my reading in print, so I have a tendency to forget about the books on my ereaders. My reading choices are totally determined by the mood I'm in when I'm looking for my next read. 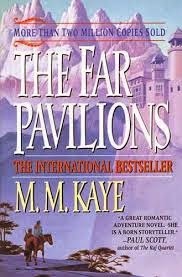 Definitely The Far Pavilions by M.M. Kaye, which I bought when I was in graduate school in the late 1990s. I have no idea what has kept me from reading it, especially since I love historical epics. I added The Nightingale by Kristin Hannah to my TBR just yesterday. None. I don't select books based on their covers. At the moment my answer is none - if I don't plan on reading a particular book it won't be on my TBR pile :-) That said, I have done a purge of my TBR pile recently, so the books I no longer have an interest in reading have already been removed. None. I don't have any unpublished books on my TBR pile. 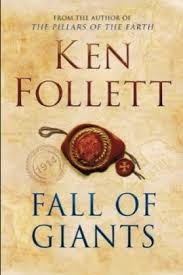 I'll have to go with Fall of Giants by Ken Follett. I'm going to pick First Frost by Sarah Addison Allen. This book was published earlier this year and, given how much I love Addison Allen's books, I'm surprised I have read it yet. I don't use Goodreads much, so my TBR shelf is probably only a few books long. My Shelfari To Read shelf on the other hand is hundreds of books long. What about you? What is the state of your TBR pile?